Join Cosecha to do genuine work rooted in the power of the immigrant community. The current administration has made it clear that they don’t see us - undocumented immigrants - as human beings worthy of respect. We've seen an increase in inhumane and discriminatory enforcement of our communities, tearing our families apart. And we’ve had enough. We are not going to let Trump define our lives - we have to continue to fight. In Cosecha, we are fighting for our families. We are fighting for the right to drive without fear. We are fighting for our dignity. We are fighting because we know our immigrant community has the power to win the change we need. Cosecha supports undocumented immigrants across the country to lead their own struggle, and bring their families, their friends, their co-workers, and their communities together to say “Licencias Hoy, Papeles Mañana” (Licenses Today, Papers Tomorrow). Cosecha organizers are supporting campaigns for licenses in New Jersey, Michigan, and Massachusetts, and campaigns to end arrests for driving without a licenses in Georgia and Indiana. We recently launched the #ManejandoSinMiedo Support Network for immigrant-led campaigns to connect and share with each other, in order to strengthen the national movement we are all a part of. These campaigns are bringing the immigrant community out by the thousands and building a network of strong Cosecha leaders. With the Cosecha Network growing, we are now taking it to the next level - more drivers licenses campaigns, national mobilizations, and political intervention! In 2019, we will expand our campaigns for drivers licenses and take action to change the national conversation around immigration. There is a new Spring coming for the immigrant rights movement. Now is the time to go all in and work with us. Make a 6 month commitment to work full-time for the movement. We will have 1 cohort from June-November and another cohort from September-February 2020. We are currently looking for a State Campaign Coordinator, an Organizer, a Social Media Strategist, and a Communications Director. Find role descriptions below. Get support to run a campaign in your community. Fight to demand the right to drive without fear, win drivers licenses, fight against wage theft, and more. Role Description: The purpose of the Campaign Coordinator is to coordinate Cosecha’s support for one of our state #ManejandoSinMiedo campaigns. Campaign Coordinators support committed immigrant leaders on the ground to develop their state campaign, do strategic planning, grow the base of leaders, and mobilize to move forward the campaign. You will be leading and supporting a team of 3-5 full-time organizers to develop organizing and strategic planning skills and support the different needs of the campaign (supporting local teams, communications, action planning, etc.). Qualifications: For the Campaign Coordination role, it is important that you have 2+ years of organizing experience, and that you are able to lead newer organizers, and support immigrant leaders to develop their campaigns. You must also be able to relocate depending on campaign needs and open to living in community with other Cosecha organizers. You must be fluent in Spanish and have a strong desire to organize alongside older immigrants. A note on benefits and compensation: Cosecha does not have any salaried staff - we practice voluntary simplicity. Fellows and full-time organizers live in Cosecha Movement Houses or in housing provided by the communities in which we work. Cosecha meets the basic material needs for all full-time organizers, including housing, food, cell phone bills, transportation, and an additional stipend of $200/month. We recognize that not earning a salary can feel like a large sacrifice in our society, especially for immigrants, working class people and people of color. Cosecha offers additional debt support and family support to organizers based on need. If you are interested in applying for one of our open positions, fill out this interest form and we will be in touch. This is not your typical job. Cosecha fellows are on the forefront of building a powerful movement for permanent protection, dignity, and respect for all immigrants in the U.S. 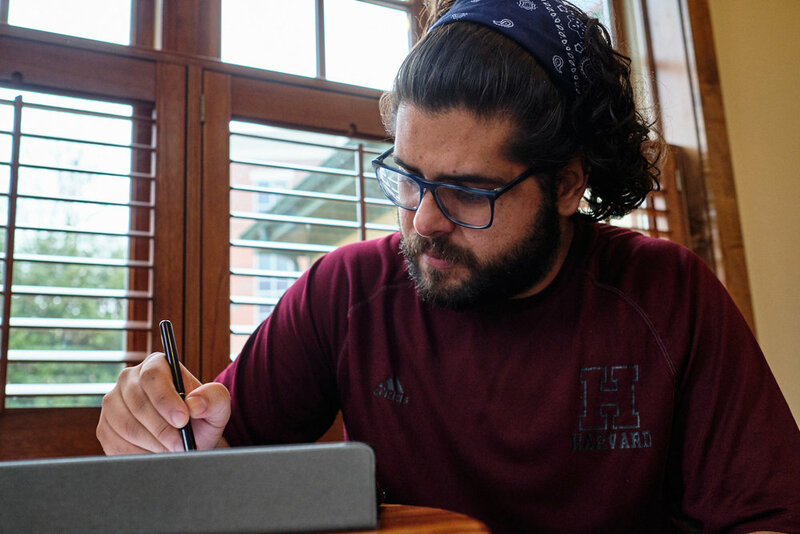 Through their work, fellows grow their leadership and organizing skills by working intimately and developing campaign strategy with a network of immigrant leaders and organizers with years of experience in the immigrant rights movement. Small group mentoring, group training, and a supportive community will supplement the hands-on experience that is an integral part of Cosecha’s movement building model. Throughout 2019, we will have two fellowship cohorts. The first one will be June - November, and the second one will be September - February 2020. 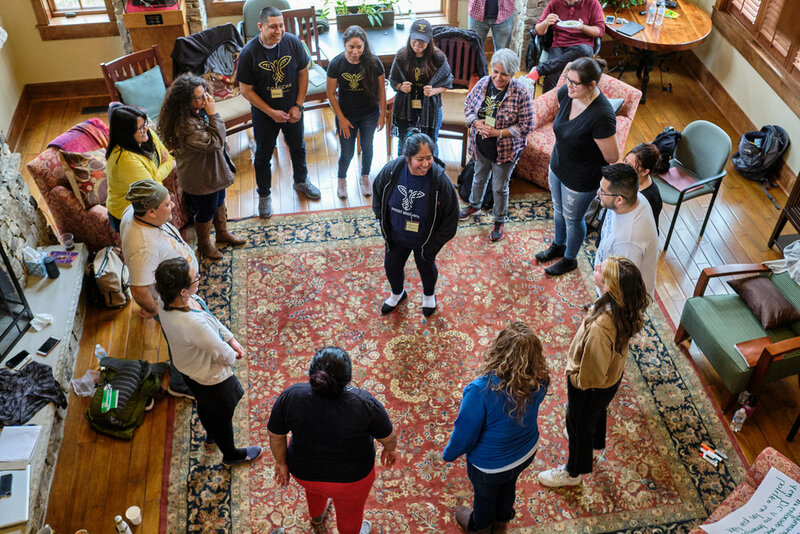 Before getting started on Cosecha work, fellows will participate in a multi-day training, designed to give the fellows the foundation they will need to become strong leaders and masters of movement building basics. Through this training we will build a collective understanding of the historical moment we are in, how Cosecha grows out of that moment, and why we believe in our strategy. We will also build community and trust with one another and learn how we will support each other through the fellowship. This will be your organizing family for this summer. Organizing fellows will come to the National Summit for #ManejandoSinMiedo, a national gathering we are having for immigrant leaders across the country working on state campaigns to win drivers licenses and country campaigns to end all arrests for driving without a license. Together, we will launch a coordinated timeline for mobilization of our campaigns across the country. Fellows and local leaders will feel the spirit of the national movement come alive! As the Fellowship comes to a close everyone will come back together to reflect, evaluate how our movement has grown and celebrate our work. If we think we are a good fit for each other, Fellows will have the opportunity to choose to continue working with Cosecha. The 6 month timeline will repeat again from September through February of 2020. We will have another launch training and orientation in September for this 2nd cohort of fellows. If you are interested in the Fall-Winter Fellowship, fill out the interest form below. Fellows will join one of our local campaign teams or the communications team, depending on your interests and skillset. We will work with you to figure out what campaign and team placement makes the most sense for you. Field Organizing Team: This role involves working and living with other organizers in Michigan, Indiana, New Jersey, Massachusetts, Georgia, or another state to support immigrant leaders who are running city, county or statewide campaigns. Everyday is dynamic and can vary greatly as you work with local leaders to advance the campaign. Day to day tasks include coaching and training local leaders, supporting community forums and team meetings, and planning and supporting local marches and actions. Communications Team: This role involves working and living with other communications team members in Michigan, New Jersey, or Boston to create graphics, video, and written content to post on social media and share through our platforms in order to meet the needs of our local and national campaigns. Fellows will be primarily supported by those who they live and work with, through small-group mentoring and coaching. Fellows will also be supported by the entire network of Cosecha full-time organizers and be part of group trainings and collective learning practices. Cosecha organizers like to say we are in a constant state of deep practice and deep study. We are constantly learning and developing as team members, and as an organization. The Cosecha Organizing Fellowship is a program to support people who can commit full-time to the movement for at least 6 months, and who can relocate to live and work in one of our campaign or office locations. There are two main requirements to join the Fellowship. A strong desire to organize alongside older immigrant workers and immigrant families. Cosecha does not have any salaried staff - we are a movement of volunteers. Fellows and full-time organizers live in Cosecha Movement Houses or in housing provided by the communities in which we work. Cosecha meets the basic material needs for Fellows, including housing, food, cell phone bills, transportation, and provides fellows with an additional stipend of $200/month. We recognize that not earning a salary can feel like a large sacrifice in our society, especially for immigrants, working class people and people of color. Cosecha offers additional debt support and family support to Fellows and organizers based on need. If you are interested in the Fellowship this June through November, fill out the interest form by May 5th. We will get in touch right away to schedule a conversation and learn more about you. Accepted fellows will know by mid-May and the Fellowship will start mid-June (exact date TBD). If you have additional questions about the Organizing Fellowship, please contact Arielle Clynes at arielleclynes@gmail.com.